Have any questions or comments? We'd love to hear from you! The best way to contact us is by phone, please call (604) 524 2264 during normal business hours. Our shop is closed for business on Saturday and Sunday. We can look after your vehicle from Monday to Friday, give us a call to set up an appointment! 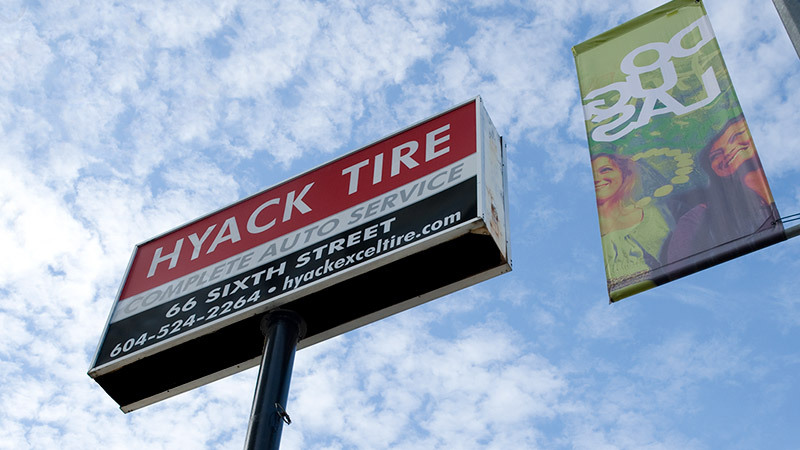 Have a look around Hyack Excel Tire shop, just click on the image below and drag it around. I've lived all over BC and this is the best shop I've brought my truck to. Their customer service is so friendly and helpful. I really appreciate that they take my questions seriously and take the time to explain things to me. They find the best way to solve a problem with my truck and always do it for the best price! I live in Vancouver now and I still find time to bring my truck for servicing in New West because these guys are the best.